You may not get the results that you want and that’s okay, try something different. As a clinician, trained in the traditional pharmacotherapy model, I'm not totally against medications. I want to make it clear, that sometimes we do need antibiotics, sometimes we may need certain medications but in very rare cases and medications are the last resort. When we have aches and pains there is something going on in the body and it’s sending messages to the brain to alert it. A great example of this connection is someone who is anxious and has “butterflies” in the stomach. Emotional trauma can trigger negative symptoms in the gut and affect gut health. So in addition to having increased risk of brain conditions, such as depression and anxiety, people with past trauma experiences are at a higher risk of developing a gut ‘dysbiosis,’ a bacterial overgrowth that is very common in the modern world. Gut dysbiosis can also be triggered by an unhealthy diet, causing inflammation in the gut and contributing to a variety of health conditions, including thyroid problems, allergies, and acne. 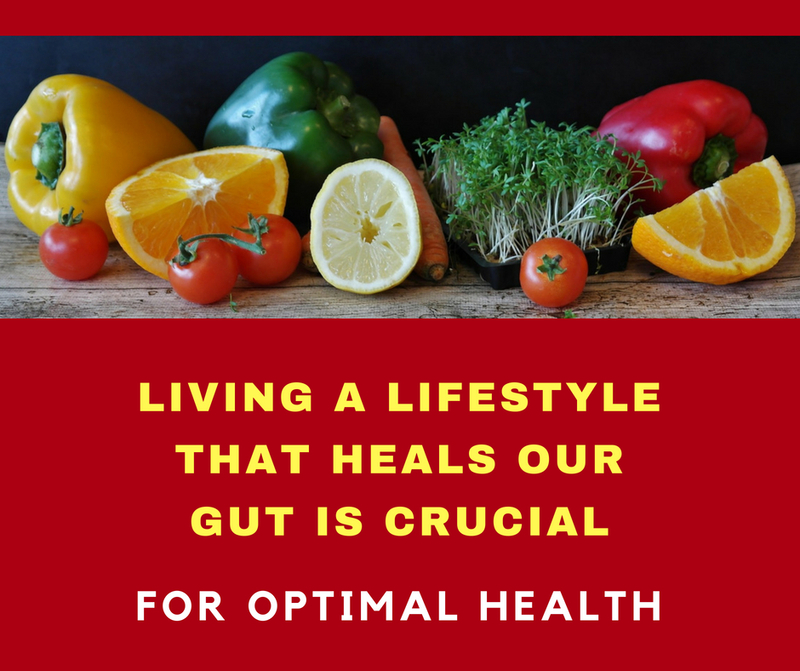 It is estimated that 30 million people in the U.S., predominantly women, suffer from the multiple effects of an imbalance in the gastrointestinal system. As a psychotherapist, I am trained to focus on the brain. However, my training as an Integrative Nutrition Health Coach prepared me to look at the whole person and embrace each person’s uniqueness taking into consideration unique individual genetic makeups, past and present experiences (lifestyle factors), and beliefs. In addition, I am inspired by the science-based approach of functional medicine that addresses the underlying causes of disease instead of just covering up the symptoms and putting a bandaid on them. Most approaches to healthy eating dwell on calories, carbohydrates, fats, and proteins. Instead of creating lists of restrictions and good and bad foods, I coach my clients to explore basic improvements and implement gradual changes during our work together. As these pieces accumulate, my clients find that these changes collectively create a much larger impact than they originally anticipated. We work on what they want to improve within the circumstances of their own unique situation. Health is not about dieting, eating organic or losing weight... it's about leading a fulfilling and sustainable life. I work with my clients to get in touch with what their body really needs because I understand that life happens and I know their needs will change. I equip them with the self-awareness to make the best decisions for themselves in any given circumstance.